Gillum has called for a significant increase in the corporate tax rate. WASHINGTON – Gov. 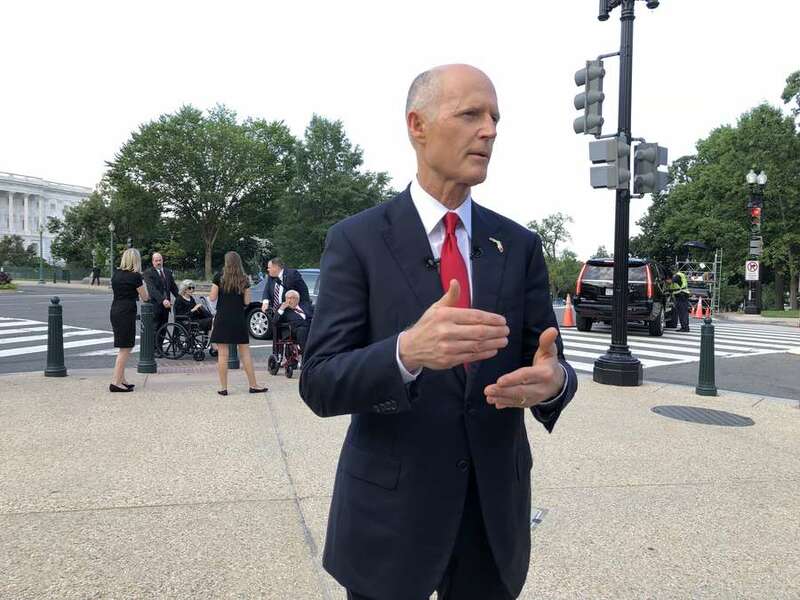 Rick Scott this morning took a shot at Andrew Gillum, saying the Democratic gubernatorial nominee would be a return to the "Charlie Crist" years of tax and fee increases. "We can't go back to what Charlie Crist did. 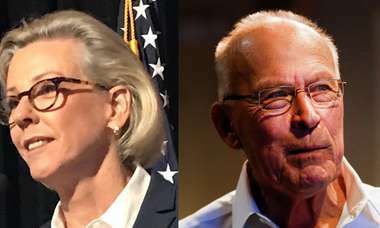 That's where Andrew Gillum would take us and we'd have job loss," Scott contended. As governor, Crist did oversee increases in taxes and fees, though they were pushed by the Republican Legislature amid a the economic collapse. That would lead to job losses, Scott argued. "That's not what Floridians want and that's why I think we're going to have a big win in November." Scott spoke before attending the memorial service for Sen. John McCain, and recalled how he once sat next to him at an Alfalfa Club dinner. "I appreciate people willing to put on the uniform," said Scott, who also served in the Navy, crediting McCain for firmly expressing his opinions. He was asked about President Donald Trump's treatment of McCain, which included saying McCain was no hero for being captured in Vietnam. "It's too bad they didn't have a close relationship," Scott said. "For me, it's an honor to be here." 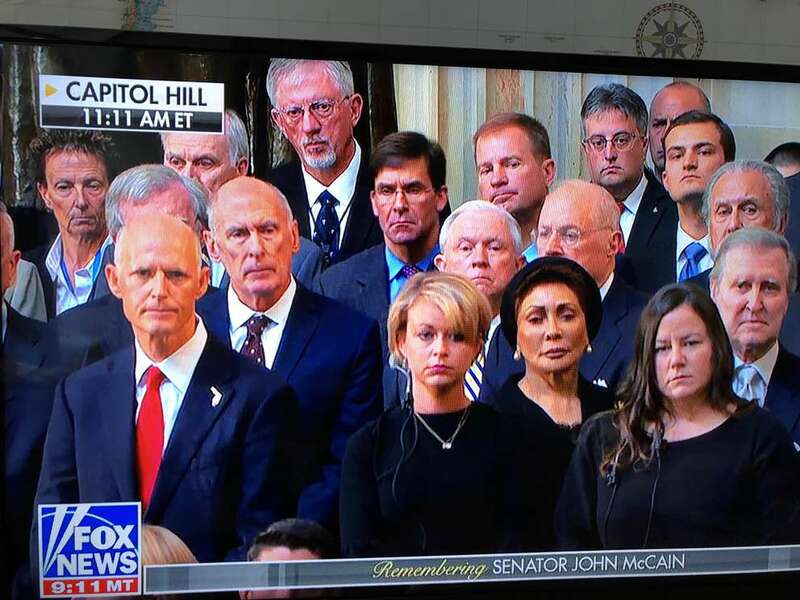 Rick Scott at the memorial for Sen. John McCain. Asked if he wants Trump to campaign for him, Scott said, "I want everybody that believes in what I'm going to do to come help me win." That would mean Trump, who this week tweeted his support for Scott. "I want everybody that believes in what I'm going to do …" Scott repeated with a smile.